Motivated Seller! 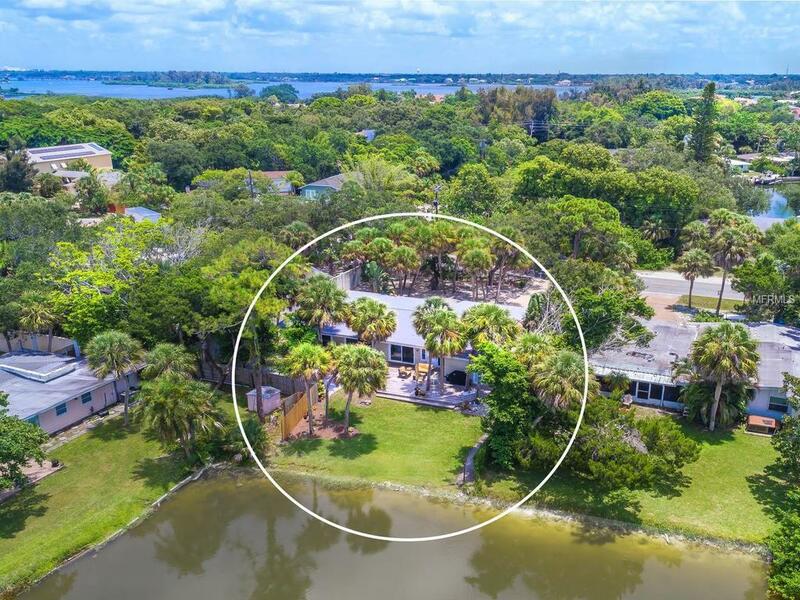 Perfectly poised on Siesta Key near the Gulf of Mexico and the Village, this beautifully updated home will delight you. Nestled on Lake Nancy the home offers an open plan with contemporary kitchen and baths. Over 2200 sf with three bedrooms and three full baths. The kitchen with sleek modern cabinetry, stainless steel appliances and granite surfaces opens to both a breakfast nook and a dining area. Neutral easy-care tile flooring throughout the living areas. The master suite is a spacious retreat and includes a small office overlooking the lake. The master bath is spa-like with a large walk-in shower, granite counters and dual vessel sinks. Each bathroom has been updated with new cabinetry, granite counters & vessel sinks. Both bedrooms are generous size, one with bath en-suite will accommodate your guests. Sitting on the back deck overlooking Lake Nancy provides the perfect setting for nature lovers to photograph a variety of birds. Its also a great spot to entertain friends, relax with morning coffee or enjoy a cold beverage at sunset. The roof was replaced in 2007. There is a 2-car garage w/extra storage. Room for a pool. Short distance to Out of Door Academy. Close to Siesta Key Beach, the No 1 beach in the US with its crystal sand and turquoise waters. Sunsets at the beach are not to be missed. The arts and culture of downtown Sarasota is just over the nearby north bridge. A perfect spot to enjoy the Florida lifestyle! Additional Lease Restrictions Property Can Be Leased For 30 Days 12 Times A Year.